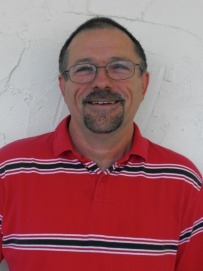 David was born in Shelby, NC and holds a MA degree from Liberty University, Lynchburg VA in Church Worship. At the age of 12, David accepted the Lord. Though God had been leading him into music ministry from an early age, David came to know Christ as Lord and Savior and was baptized in the summer of 1971. David began playing the piano at 4, and began receiving formal training in piano and voice at 7. By 12, he was frequently asked to sing in his local church in Polkville, North Carolina. His musical training continued through graduation from Burns High School in Lawndale, NC in June 1978. In 1979 David took the position of interim Music Director at First Baptist Church in Davidson NC. Later that year he returned to his home church – Pisgah Baptist in Casar NC – where he was ordained as a Deacon. In 1982 David accepted the position of Music Director at Pisgah, holding this position until he joined the United State Navy in March of 1985. At recruit training he found himself attached to a special company called the “Triple Threat.” This company had a military choir, which David was called upon to lead. The Lord continued to use him in music ministry when David joined the base choir while attending Hospitalman Corps School. Stationed at Portsmouth, VA in 1986, David accepted the position of Music Director at Sweethaven Baptist Church in Churchland, VA, a position he held through 1994. While assigned to the Aircraft Carrier USS Theodore Roosevelt, David continued to fulfill his duties as music director at Sweethaven. When at sea board the USS Theodore Roosevelt, he served as organist and music director for the protestant, catholic, and Jewish services. In 1994 David was transferred to Boston, MA and found himself again leading the music and directing the church choir, this time at Community Baptist Church in South Weymouth MA. In 1997 David and his family moved to Cherry Point, NC. The Carter family visited several churches in the area, and was led to unite their lives in membership with First Baptist Church of Havelock. In 2003, David was asked to serve on the diaconate of First Baptist Church. David also sang in the Sanctuary Choir and later joined the Praise and Worship Team. On August 1, 2006 David was called to be the part-time Director of Church Music at First Baptist Church, the position he currently holds. David enjoys cooking, gardening, and – most of all – studying the Word of God and sharing his faith with others. In 1978 he was married to Debra Ann Cook and is the proud Father of Shelly Denice Brana, Kenneth Wayne Carter, and Joshua David Carter. He is the proud grandfather of Brice and Rebecca Brana, Austin Carter, and Jacob and London Montanye. David graduated from Liberty University with a Undergratuate degree (BA) on 24 October 2008 and with a Master of Arts degree through the school of divinity (MA) on 12 May 2012.